Each year the International Federation of Robotics (IFR) surveys and tabulates data from its worldwide network of robotics associations. 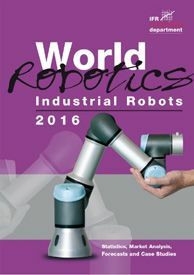 The two 2016 annual World Robotics Industrial Robots and World Robotics Service Robots reports represent the IFR’s analysis of 2015 results. By the end of 2019, there will be around 2.6 million industrial robots at work around the world – one million more robots than in 2015. That reflects a compounded annual growth rate of 12%. 70% of those robots work in the auto, electrical/electronics and metal/machinery industries. 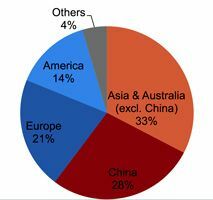 In 2015, growth occurred in the electronics industry, which boasted an 18% rise; the metal industry posted an increase of 16%, with the automotive sector growing by 10%. 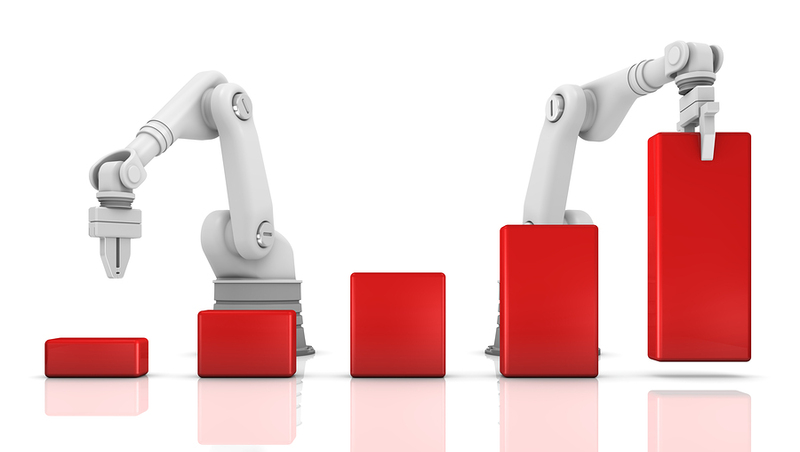 Worldwide sales of industrial robots set a new record in 2015: 254,000 units sold; 12% more than 2014. 66,700 units sold in China of which 20,400 were made in China. The IFR didn’t provide sales values for industrial robots (I guess we’ll have to buy the book). Asia is the strongest growth market with 156,000 units for the region, a 16% increase over 2014, but that figure is much lower than the 27% projected. The rate of growth of China-made robots penetrating the market also didn’t grow at the projected rate but it did grow at a healthy 31% rate. Slower but smarter. With three national 10-year plans, the current one entitled “Made in China 2025,” Beijing is attempting to stimulate the in-country robotics industry on two levels: that manufacturers use robots to increase their productivity and global competitiveness and as robot and robotic components manufacturers to reduce the amount of foreign purchases of robots. This national plan applies to service robots too. The IFR suggested that the trends fueling this steady increase of robot installations will be led by the collaboration of humans and machines, simplified applications, and lightweight and relatively portable robots. Two-armed robots, mobile solutions and the integration of robots into existing environments will also contribute as will an increased focus on modularity and lower overall prices. The total number of professional service robots sold in 2015 rose by 25% to 41,060 units; up from 32,939 in 2014. The sales value increased by 14% to $4.6 billion. 31 million units of robots for domestic tasks (vacuum cleaning, lawn-mowing, window cleaning and other types) with an estimated value of $13.2 billion. 11 million units of entertainment and leisure robots will be sold with an estimated value of about $9.1 billion. 37,500 eldercare and therapy robots will be sold. This number is expected to increase substantially in the next decade.